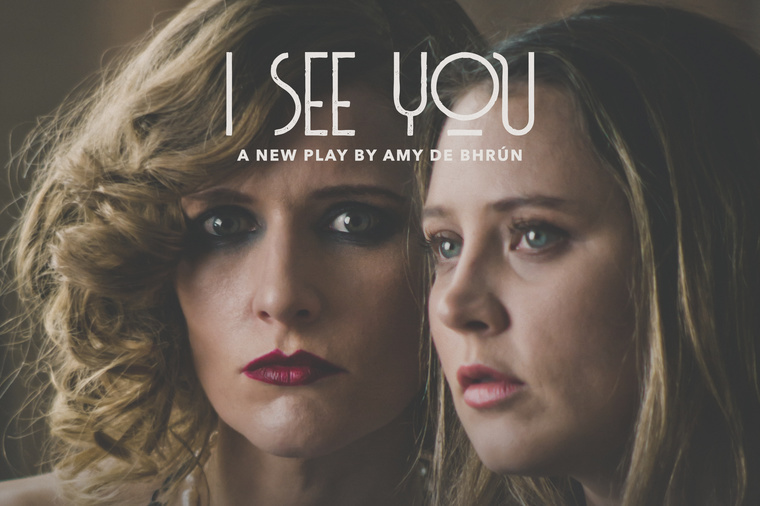 I See You – Theatre Upstairs – Review by Frank L.
De Bhrún uses the life of Lady Mary Heath as her base story to exemplify how some women of great achievement are ignored and ultimately forgotten. Lady Mary Heath was born in 1896 in County Limerick as Sophie Catherine Theresa Mary Peirce-Evans. As an infant, her father murdered her mother and was thereafter confined as criminally insane to the Central Mental Hospital in Dundrum. She was brought up by her grandparents. She was gifted both athletically and scholastically. Her love of athletics sparked her interest in flying when she made her maiden solo flight in 1925 to Prague where she campaigned for women’s athletics to become part of the Olympic games. She was a celebrity, famous and glamorous with her portrait painted by Sir John Lavery. Meanwhile, she undertook arduous solo flights and obtained her commercial pilot’s licence but no airline was prepared to employ her. Gradually she disappeared from view dying at the age of 43 years. It is this story which De Bhrún uses as her base. De Bhrún plays the part of Mary in all her powerful self as she recounts her life and the irrational barriers placed in her path because she was a woman. 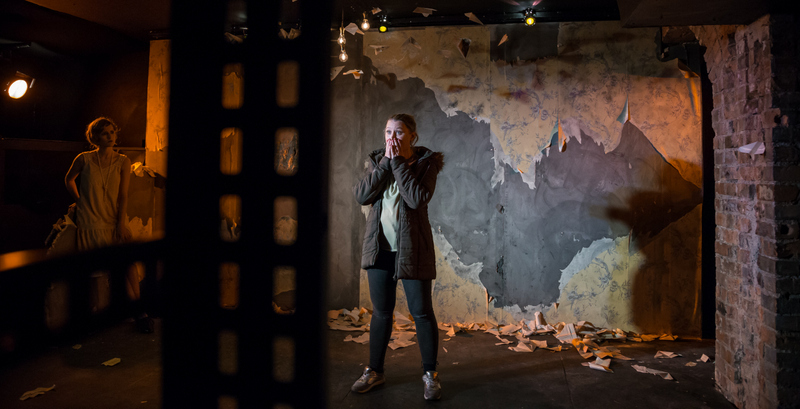 But Mary’s story is interwoven with that of a contemporary Dublin woman (Roxanna Nic Liam) who is in an abusive relationship with an older man. She learns or has learned how to become silent, not to be seen and to stay below the parapet, out of sight regardless of the depth of the indignities which she endures. In a very different world and set of circumstances, Lady Mary’s story is strikingly similar even though it had taken place approximately eighty years ago. The genius of the play is that it moulds these two apparently disparate stories from different times into one powerful polemical story. De Bhrún is dressed as a flapper from the twenties in high heels and is all chic. Nic Liam is dressed in a pair of non-descript beige trousers with a similarly coloured blouse. The contrast is stark. Although they obviously come from different worlds, the two actors create a great synthesis, which transcends time, as they tell their individual stories. 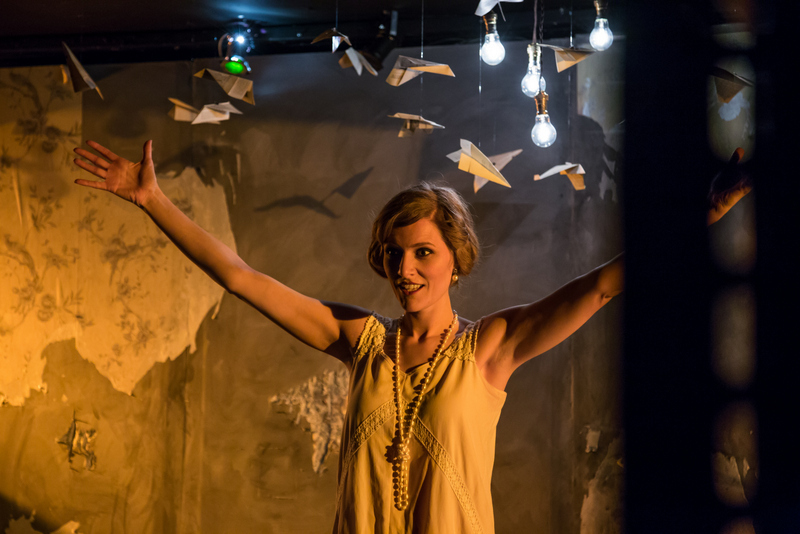 De Bhrún as the playwright has creatively taken the life of Lady Mary Heath eighty years ago and made it chime with the life of a young Dublin woman of today. It is a daring thing to do. The result is an exciting piece of theatre.